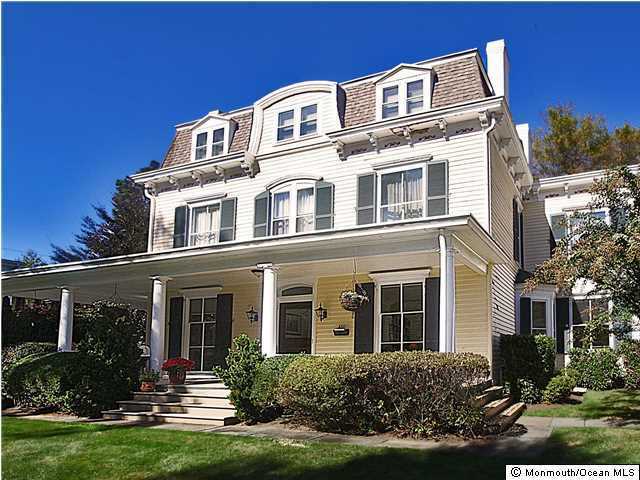 Impeccably renovated, elegant, bright & spacious family home in Shrewsbury's prestigious Historic District; blending 21st. century conveniences & historical elegance. Close to NJ Transit, ferry to Wall St., Parkway, shopping, schools & recreation facilities. Set on 1+acres of landscaped grounds backing to horse pasture. Gourmet kit w: c/island, w/4oven, 6 burner Aga stove, SubZero, Granite; luxury baths, hdwd flrs, large windows, dec moldings. 3rd. fl open plan library & large storage area.